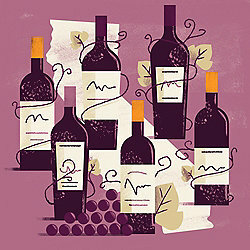 Six different lush Cabernets from all of California's best regions. Ripe, full-bodied reds. They don't call 'em "killer" for nothing.